The Western media in chorus pointed to “democratization”: the “King of Java” had been deposed by mass protests, much in the same way as Hosni Mubarak, described by today’s media as “The Pharaoh of Egypt”. The 1997 Asia financial crisis which served to impoverish millions of people was instigated by institutional speculators. It was a process of deliberate market manipulation. It consisted in destabilizing national currencies, through “short selling”. The May 1998 protest movement against president Suharto was triggered by widespread poverty and social inequality resulting from the IMF’s deadly “economic medicine” imposed both prior and in the wake of the Asian crisis. [This assessment] seriously misjudges the balance of power not only in Indonesia but in many other parts of the world. The main lesson from Indonesia’s turmoil should be the decisive role played by the United States and the International Monetary Fund. If any party should take credit for decisively bringing down Suharto it is these enforcers of the global capitalist order – not people power … After 30-odd years of milking the rich resources of Indonesia, it became clear last autumn when Indonesia caught the Asian financial flu, that Suharto was no longer expedient for Western powers. Unlike the other lame Asian Tigers, Suharto proved to be insufficiently nimble in administering the usual IMF neoliberal shock treatment for so-called recovery. … The upshot of this neo-colonialism allows for greater control of a country’s resources by foreign capital and it invariably leaves the mass of people even more destitute, as wealth is siphoned off at ever greater speed to stock exchanges in New York and London. Already the signs in Indonesia are ominous. Suharto’s successor is no more committed to democracy and social justice, the country’s military machine continues to operate with brutal efficiency, and, note this, the IMF is redoubling its calls for “market reforms” and cuts in public spending. On another highly controversial issue – that of U.S. involvement in the killings – the volume includes an “Editorial Note” on page 387describing Ambassador Marshall Green’s August 10, 1966 airgram to Washington reporting that an Embassy-prepared list of top Communist leaders with Embassy attribution removed “is apparently being used by Indonesian security authorities who seem to lack even the simplest overt information on PKI leadership at the time….” On December 2, 1965, Green endorsed a 50 million rupiah covert payment to the Kap-Gestapu movement leading the repression; but the December 3 CIA response to State is withheld in full (pp. 379-380). ” For the students it was a case of “The king is dead, down with the king!”… The mood had begun to change in the early hours when rumours ran wild that President Suharto was going to address the nation at 9a.m. Hundreds gathered round a large television monitor in the filthy, dimly-lit foyer as a tired looking Gen Suharto appeared. Meanwhile, events elsewhere were moving fast. The US Secretary of State, Mrs Madeleine Albright, suggested publicly that Gen Suharto quit, signalling the end of international support. President Suharto had found it impossible to put together a reform committee he had promised on Tuesday, as academics had shunned it. [History repeats itself. Compare Madeleine Albright’s statements to those of to Hillary Clinton, M. C.] …. Gen Suharto had no alternative but to hand over power to his long-time crony, Mr Habibie, and seek an assurance from General Wiranto, another protege whom he put in place in January, that the family would retain its status and wealth. The decision was taken at one o’clock in the morning in the Suharto home. Its full implications did not dawn on the students until they listened to recordings of Gen Suharto’s resignation statement. The students had tasted a heady victory; they did not want to be deceived by a compromise which left Mr Suharto’s allies in place. They had opened up the political landscape for genuine democratic reform, but they felt they must be active and vigilant and not let their gains slip away. Dr Amien Rais – an old friend of Mr Habibie – said yesterday he would wait to see the composition of the new cabinet, to be announced this morning, before deciding whether to endorse it; his advice will carry great weight with the students. But as of now they are staying put in the parliament. In days to come they will all want to say they were there in the parliament, when the Javanese king, as Gen Suharto was known, was toppled.” ( Conor O’Clery, The day the ‘king of Java’ was deposed by his own people, Irish Times, May 22, 2011). The outcome of Suharto’s demise was continuity. To this date, the military machine combined with a ruthless form of capitalist development prevails in Indonesia. The country is rich in natural resources. It is an oil producing economy. Yet poverty and unemployment are rampant. The country’s wealth is appropriated by foreign conglomerates with the support of the military machine and police apparatus. Democratic elections took place in 1999, Abdurrahman Wahid was appointed president by the Parliament with Sukarno’s daughter Megawati as Vice President. Wahid was later impeached. The illusion of a populist government prevailed with Megawati as a figurehead president (2001-2004). Egypt: US Sponsored Coup d’Etat? In Egypt, following Mubarak’s demise, the military machine prevails. Field Marshal Mohamed Hussein Tantawi, Egypt’s defense minister, commander in chief of the Armed Forces and since February 11, 2011 head of the Supreme Council of the Armed Forces, is the de facto Head of State, the Vice presidency is held by Omar Suleiman. Both men are US appointees. Sincere intention? Both Suleiman and Tantawi, now in charge of “the transition to democracy” on behalf of the protest movement, are Washington’s new military henchmen. So much for democracy. Both men are responsible for carrying out torture on behalf of the CIA under the agency’s “extraordinary rendition” program. Egypt as being the most common destination for suspects that are sent by the U.S. for interrogation and ultimately torture.Extraordinary rendition is … torture by proxy, sometimes, or outsourcing torture. Now, sometimes CIA agents actually come with them, and they’re in the interrogation room. Most of the time, they’re outside the interrogation room so that after the detainee is tortured, the CIA can come in and ask them questions. ….The United States sends Egypt $1.5 billion per year, most of which goes to the military. And yet all along the United States has known about these egregious human rights violations by the Egyptian government. We funded the whole government and the police who were committing the acts. Omar Suleiman, the vice president, was the linchpin for Egyptian torture when the CIA sent prisoners to Egypt in its extraordinary rendition program. And he actually committed some of the worst torture himself. He oversaw the torture by the secret police, and yet he’s a very close friend of the U.S. government, including the Obama administration. (Marjorie Cohn, Egypt was a common destination for torture of detainees sent by U.S, Global Research, February 16, 2010). Washington is the puppetmaster, which controls both the military machine as well as Egypt’s civil society opposition. The terms of “negotiation” between the representatives of the protest movement and the military have already been determined in Washington DC. We thank you for your readership and encourage you to visit our Shopcart, Donation page and Membership pageand find out how you can help Global Research continue to be the reliable source of completely independent news that you have come to rely on. Despite submitting a 110-page long referenced accusation (the Introduction of which is appended to this statement), the Spanish public prosecutor and the judge assigned to our case determined there was no reason to investigate. Their arguments were erroneous and could easily have been refuted if we could have appealed. To do so we needed a professional Spanish lawyer — either in a paid capacity or as a volunteer who wished to help the Iraqi people in its struggle for justice. As we had limited means, and for other reasons mostly concerning internal Spanish affairs, which were not our concern, we could not secure a lawyer in either capacity to appeal. Our motion for more time to find a lawyer was rejected. We continue to believe that the violent killing of over one million people in Iraq since 2003 alone, the ongoing US occupation — that carries direct legal responsibility — and the displacement of up to a fifth of the Iraqi population from the terror that occupation has entailed and incited suggests strongly that the claims we put forward ought to be further investigated. In reality, our case is a paramount example of those that authorities in the West — Spain included — fear. To them, such cases represent the double edge of sustaining the principle of universal jurisdiction. Western states used universal jurisdiction in the past to judge Third World countries. When victims in the global South began using it to judge Israel and US aggression, Western countries rushed to restrict it. Abandoning universal jurisdiction by diluting it is now the general tendency. We regret that the Spanish courts refused to investigate our case, but this will not discourage us. We have a just cause. The crimes are evident. The responsible are well known, even if the international juridical system continues to ignore Iraqi victims. Justice for victims and the wish of all humanity that war criminals should be punished oblige us to search for alternative legal possibilities, so that the crimes committed in Iraq can be investigated and accountability established. At present, failed international justice allows US and UK war criminals to stand above international law. Understanding that this constitutes an attack — or makes possible future attacks — on the human rights of everyone, everywhere, we will continue to advocate the use of all possible avenues, including UN institutions, the International Criminal Court, and popular tribunals, to highlight and bring before law and moral and public opinion US and UK crimes in Iraq. Millions of people in Iraq have been killed, displaced, terrorised, detained, tortured or impoverished under the hammer of US and UK military, economic, political, ideological and cultural attacks. The very fabric and being of the country has been subject to intentional destruction. This destruction constitutes one of the gravest international crimes ever committed. All humanity should unite in refusing that law — by failing to assure justice for Iraqi victims — enables this destruction to be the opening precedent of the 21st century. Cairo – Prior to the unrest, Egypt’s largest organised opposition group was the Muslim Brotherhood, a party with deep roots in the country, stretching back to its founding in 1929. Some people in the West – and more than a few Egyptian liberals – fear the current political turmoil could see the Islamist party gain in power and impose religious doctrine. But the group is also in the process of a metamorphoses, and its rhetoric often fails to match its actions. Moreover, indications are there is internal debate over its political positions, and the final direction it will take is unclear. It has a strong contingent of followers, in part because it runs conservative religious and social programmes across the country. But the group has also thrown its weight behind the liberal Nobel Peace Prize winner Mohamed ElBaradei, backing him as the opposition’s lead negotiator in efforts to force President Hosny Mubarak to step down. And ElBaradei, by no means a backer of religious law, has indicated he is not overly concerned by the Brotherhood’s involvement in politics. Though officially banned in Egypt, the group ran independents for the 2005 parliamentary elections and garnered 20 per cent of the vote. But it failed to win a single seat in elections held in November 2010, which were widely seen as rigged in favour of the ruling National Democratic Party. Despite having expressed vehement opposition to ‘any agreement with this rapacious entity Israel,’ once in a position of influence in parliament the group said it would not touch the issue. ‘We do not recognize Israel, but we will not fight it. We will respect all the treaties (which Egypt signed with Israel),’ said Mohamed Mahdi Akef in 2005, at the time the leader of the Brotherhood. Egypt was the first Arab state to sign a peace treaty with Israel in 1979. Israel officials are quick to point out that their relationship with Egypt is a ‘cold peace,’ but most appreciate having a deal with the most populous Arab state. The Brotherhood has branched out from being just an Egyptian group, and sister wings have sprouted up throughout the Arab world. In the Palestinian territories, the group most closely affiliated with it is Hamas, the militant Islamist faction. A key distinction, however, is that the Brotherhood is not on Washington’s list of terrorist groups and it renounced violence in the 1970s. Israel, nevertheless, is watching developments in Egypt with concern given the ties between the two groups. While Akef refrained from making Israel the centre of his attention, focusing instead on core domestic issues, some Brotherhood members have regularly attacked Cairo’s economic relations with the Jewish State, especially the flow of natural gas from Egypt to Israel. Many in Egypt believe that if the group was engaged politically, it would not seek to impose an authoritarian regime on Egypt. Perhaps more significant, if Egypt’s political structure was opened up to a multi-party system, the Brotherhood is expected to lose influence, as many people now are seen to back the group solely as a way of protesting against President Mubarak. When Mubarak clamped down on political activity, and Arab nationalism failed to bring the desired rewards, many turned to religion. If the political atmosphere was freer, it is hard to say how Egyptians would respond. And in any case, the group is a far cry from any Taliban style organisation, though still a very conservative Muslim group with a strong following – and that is what worries liberals within Egypt. Officials in the movement once said they would never accept a woman or Christian as president of Egypt. But when he appeared on al- Arabiya recently, Akef said many of his remarks were made a long time ago, and the political context has changed. Mohamed Badie took over as leader from Akef last year, but has not yet articulated his political doctrine. The Brotherhood, over 80 years old, seems to still be deciding exactly what it wants to be. February 7, 2011: Fighting on the Cambodian border continued over the weekend, being renewed today. The action has not been intense, mostly assault rifles. But local villagers have heard machine-guns and artillery or mortars. There have been twenty or so casualties. All this was a sharp break from recent peace efforts. Three months ago, after two years of armed stalemate, Thailand and Cambodia agreed to reopen border crossings at the site of the ancient (1300 year old) Preah Vihear Hindu temple on the border. The two countries have long argued over who owns how much of the ancient site. In 1962, an international court declared the temple Cambodian, but Thailand continued to claim adjacent areas that the Cambodians insist are part of the temple complex. Each side has about 3,000 troops near the temple site, and there have been a few shooting incidents since 2008, but nothing serious. The two countries have beenl negotiating the withdrawal of troops. The most recent fighting has damaged portions of the temple (which Cambodians occupy) and caused over 20,000 local civilians to flee. This dispute is but one of many similar ones. The basic problem is that the current 730 kilometers long border was defined in 1907 by the placement of only 73 border markers. This has left the exact location of the border open to interpretation. Occasionally these interpretations clash, as is happening now. Neither side wants a full scale war, even though Thailand has a larger and better equipped military. In the last few years, Cambodia doubled its annual military budget to $500 million. Thailand spends more than six times that, and has done so for decades. Thailand has 300,000 troops, Cambodia only 100,000. But Thailand has distractions, as in Moslem terrorists in the south, rebellious populists in the north, and unrest across the northwest border with Burma. The Preah Vihear temple is 340 kilometers east of the capital. The government believes that a major war with Cambodia would soon become unpopular, and make the red shirts more powerful and likely to take over. Red shirts (populists) say they have proof that the army planned, for years, the violent crackdown in 2010. This elicited surprise among military and police planners, who take for granted that plans would be drawn up for all contingencies you can imagine. The attack on the red shirts last year was similar to the 1989 Chinese response to the massive demonstrations in Tiananmen Square. The government asked the army to be more flexible, and effective, in the south. Senior officials believe that the Islamic radicals and Moslem gangsters are being more innovative in changing their tactics. So the generals are being urged to be more innovative and quicker to adapt. The military is asked, not ordered, because in Thailand, the generals are very much a political power, and not to be pushed around. The army believes its tactics are working, and that the Islamic terror groups are being slowly crushed. Royalist yellow shirts continue (since January 25) to occupy Ratchadamneng Road (a historic district in the capital) to pressure the government to be more aggressive against Cambodia. Yellow shirts are also threatening to occupy key locations in the capital as well. February 6, 2011: Thai and Cambodian troops agreed to a ceasefire at the Preah Vihear temple. It lasted less than 24 hours. February 4, 2011: In the south, three policemen were killed in two attacks. February 3, 2011: In the south, five Buddhists were shot dead, apparently by Islamic terrorists seeking to drive all infidels (non-Moslems) out of the area. The slogans in Egypt are “Down with Mubarak, Down with the Regime”. No anti-American posters have been reported… The overriding and destructive influence of the USA in Egypt and throughout the Middle East remains unheralded. In Egypt, a devastating IMF program was imposed in 1991 at the height of the Gulf War. It was negotiated in exchange for the annulment of Egypt’s multibillion dollar military debt to the US as well as its participation in the war. The resulting deregulation of food prices, sweeping privatisation and massive austerity measures led to the impoverishment of the Egyptian population and the destabilization of its economy. The Mubarak government was praised as a model “IMF pupil”. The role of Ben Ali’s government in Tunisia was to enforce the IMF’s deadly economic medicine, which over a period of more than twenty years served to destabilize the national economy and impoverish the Tunisian population. Over the last 23 years, economic and social policy in Tunisia has been dictated by the Washington Consensus. From Pinochet and Videla to Baby Doc, Ben Ali and Mubarak, dictators have been installed by Washington. Historically in Latin America, dictators were instated through a series of US sponsored military coups. In todays World, they are installed through “free and fair elections” under the surveillance of the “international community”. The relationship of “the dictator” to foreign interests must be addressed. Unseat the political puppets but do not forget to target the “real dictators”. The protest movement should focus on the real seat of political authority; it should target (in a peaceful, orderly and nonviolent fashion) the US embassy, the delegation of the European Union, the national missions of the IMF and the World Bank. If the protest movement fails to address the role of foreign powers including pressures exerted by “investors”, external creditors and international financial institutions, the objective of national sovereignty will not be achieved. In which case, what will occur is a narrow process of “regime replacement”, which ensures political continuity. “Dictators” are seated and unseated. When they are politically discredited and no longer serve the interests of their US sponsors, they are replaced by a new leader, often recruited from within the ranks of the political opposition. “The United States, which was quick to size up the groundswell of protest on the streets of Tunisia, is trying to press its advantage to push for democratic reforms in the country and further afield. The top-ranking US envoy for the Middle East, Jeffrey Feltman, was the first foreign official to arrive in the country after president Zine El Abidine Ben Ali was ousted on January 14 and swiftly called for reforms. He said on Tuesday only free and fair elections would strengthen and give credibility to the north African state’s embattled leadership. “I certainly expect that we’ll be using the Tunisian example” in talks with other Arab governments, Assistant Secretary of State Feltman added. Western nations had long supported Tunisia’s ousted leadership, seeing it as a bulwark against Islamic militants in the north Africa region. In 2006, the then US defense secretary Donald Rumsfeld, speaking in Tunis, praised the country’s evolution. This very much depends on the ability of the protest movement to address the insidious role of the US in the country’s internal affairs. Many people within the protest movement are led to believe that president Obama is committed to democracy and human rights, and is supportive of the opposition’s resolve to unseat a dictator, which was installed by the US in the first place. The cooptation of the leaders of major opposition parties and civil society organizations in anticipation of the collapse of an authoritarian puppet government is part of Washington’s design, applied in different regions of the World. While the US has supported the Mubarak government for the last thirty years, US foundations with ties to the US State department and the Pentagon have actively supported the political opposition including the civil society movement. According to Freedom House: “Egyptian civil society is both vibrant and constrained. There are hundreds of non-governmental organizations devoted to expanding civil and political rights in the country, operating in a highly regulated environment.” (Freedom House Press Releases). Under the auspices of Freedom House, Egyptian dissidents and opponents of Hosni Mubarak were received in May 2008 by Condoleezza Rice at the State Department and the US Congress. They also met White House National Security Adviser Stephen Hadley, who was “the principal White House foreign policy adviser” during George W. Bush’s second term. The Egyptian pro-democracy delegation to the State Department was described by Condoleezza Rice as “The Hope for the Future of Egypt”. These opposition civil society groups –which are currently playing an important role in the protest movement– are supported and funded by the US. They indelibly serve US interests. The invitation of Egyptian dissidents to the State Department and the US Congress also purports to instil a feeling of commitment and allegiance to American democratic values. America is presented as a model of Freedom and Justice. Obama is upheld as a “Role Model”. democracy”, prior to meetings at the State Department in Washington, DC, May 28, 2009.
meeting Hillary Clinton in May 2009. Condoleezza Rice chats with Hosni Mubarak? ” Hope for the Future of Egypt”. Its called “political leveraging”, “manufacturing dissent”. Support the dictator as well as the opponents of the dictator as a means of controlling the political opposition. These US funded civil society organizations act as a “Trojan Horse” which becomes embedded within the protest movement. They protect the interests of the puppet masters. They ensure that the grassroots protest movement will not address the broader issue of foreign interference in the affairs of sovereign states. The Kifaya movement, which organized one of the first protests directed against the Mubarak regime in late 2004, is supported by the US based International Center for Non-Violent Conflict. Kifaya is a broad-based movement which has also taken a stance on Palestine and US interventionism in the region. One can easily apprehend the importance attached by the US administration to this bloggers’ “training program”, which is coupled with high level meetings at the US Senate, the Congress, the State Department, etc. The role of the Facebook Twitter social media as an expression of dissent, must be carefully evaluated: the civil society bloggers are supported by Freedom House (FH), the National Endowment for Democracy (NED) and the US State Department. “The protests in Egypt are being driven by the April 6 youth movement, a group on Facebook that has attracted mainly young and educated members opposed to Mr Mubarak. The group has about 70,000 members and uses social networking sites to orchestrate protests and report on their activities. The Muslim BrotherhoodThe Muslim Brotherhood in Egypt constitutes the largest segment of the opposition to president Mubarak. According to reports, The Muslim Brotherhood dominates the protest movement. While there is a constitutional ban against religious political parties Brotherhood members elected to Egypt’s parliament as “independents” constitute the largest parliamentary block. The Brotherhood, however, does not constitute a direct threat to Washington’s economic and strategic interests in the region. Western intelligence agencies have a longstanding history of collaboration with the Brotherhood. Britain’s support of the Brotherhood instrumented through the British Secret Service dates back to the 1940s. Starting in the 1950s, according to former intelligence official William Baer, “The CIA [funnelled] support to the Muslim Brotherhood because of “the Brotherhood’s commendable capability to overthrow Nasser.”1954-1970: CIA and the Muslim Brotherhood Ally to Oppose Egyptian President Nasser, These covert links to the CIA were maintained in the post-Nasser era. Washington’s agenda for Egypt has been to “hijack the protest movement” and replace president Hosni Mubarak with a new compliant puppet head of state. Washington’s objective is to sustain the interests of foreign powers, to uphold the neoliberal economic agenda which has served to impoverish the Egyptian population. 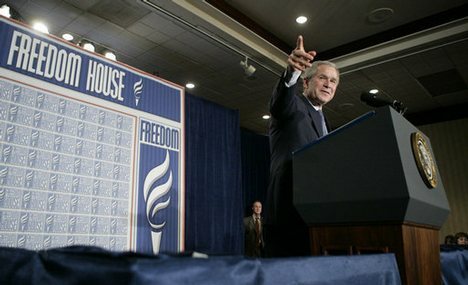 From Washington’s standpoint, regime replacement no longer requires the installation of an authoritarian military regime as in the heyday of US imperialism, It can be implemented by co-opting political parties, including the Left, financing civil society groups, infiltrating the protest movement and manipulating national elections. “The country’s army and police forces are geared to the teeth thanks to more than $1 billion in military aid a year from Washington. … When the US officially describes Egypt as “an important ally” it is inadvertently referring to Mubarak’s role as a garrison outpost for US military operations and dirty war tactics in the Middle East and beyond. There is clear evidence from international human rights groups that countless “suspects” rendered by US forces in their various territories of (criminal) operations are secretly dumped in Egypt for “deep interrogation”. The country serves as a giant “Guantanamo” of the Middle East, conveniently obscured from US public interest and relieved of legal niceties over human rights.” (Finian Cunningham, Egypt: US-Backed Repression is Insight for American Public, Global Research, January 28, 2010). America is no “Role Model” of Democratization for the Middle East. US military presence imposed on Egypt and the Arab World for more than 20 years, coupled with “free market” reforms are the root cause of State violence. America’s intent is to use the protest movement to install a new regime. The People’s Movement should redirect its energies: Identify the relationship between America and “the dictator”. Unseat America’s political puppet but do not forget to target the “real dictators”. Published annually since 1972, Freedom in the World examines the ability of individuals to exercise their political and civil rights in 194 countries and 14 territories around the world. The latest edition analyzes developments that occurred in 2010 and assigns each country a freedom status—Free, Partly Free, or Not Free—based on a scoring of performance on key democracy indicators. Free:The number of countries designated by Freedom in the World as Free in 2010 stands at 87, two fewer than the previous year, and representing 45 percent of the world’s 194 countries and 43 percent of the world’s population. Partly Free:The number of Partly Free countries increased to 60, or 31 percent of all countries assessed by the survey, comprising 22 percent of the world’s total population. Not Free:The number of countries deemed to be Not Free remained at 47, or 24 percent of the total number of countries. Nearly 2.5 billion people live in societies where fundamental political rights and civil liberties are not respected. China accounts for more than half of this number. Electoral Democracies:The number of electoral democracies dropped from 116 to 115, the lowest number since 1995. Three countries—the Philippines, Tanzania, and Tonga—achieved electoral democracy status after conducting elections that were regarded as improvements over earlier polls. Declines in Burundi, Guinea-Bissau, Haiti, and Sri Lanka triggered their removal from the list of electoral democracies. Worst of the Worst:Of the 47 countries ranked Not Free, nine countries and one territory received the survey’s lowest possible rating for both political rights and civil liberties: Burma, Equatorial Guinea, Eritrea, Libya, North Korea, Somalia, Sudan, Tibet, Turkmenistan, and Uzbekistan. Asia-Pacific:Successful elections resulted in improvements for the Philippines and Tonga. Declines were documented in Afghanistan, Cambodia, Fiji, Indian Kashmir, Sri Lanka, and Thailand. Americas:The inability of the Mexican government to protect ordinary citizens, elected officials, or journalists from organized crime caused Mexico’s status to fall from Free to Partly Free. Other countries that saw declines included Venezuela, where President Chávez pushed through damaging legislation just before the formation of a new parliament with significantly more opposition seats. Improvements were noted in Colombia and St. Vincent and the Grenadines. Western Europe and North America:Western Europe and the United States continued to struggle with a rise in anti-immigrant sentiment. France received a score reduction for its treatment of ethnic minorities, including the mass deportation of Roma. To view data from the report, click here.